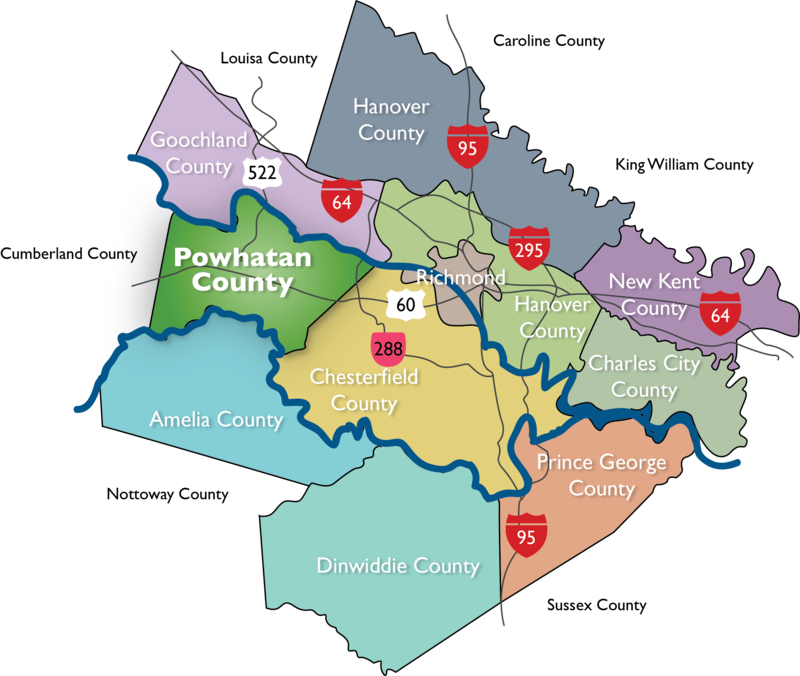 Powhatan County is located in the Greater Richmond metro area. Downtown Richmond is only a 30 minute drive from most of the County. The County has benefited from the growth of the Greater Richmond region with direct connections via Route 288 and Route 60. County Limits span approximately 272 square miles. The County is within a short drive of the 5 largest cities in Virginia, roughly two and a half hours from Washington D.C., and three hours from Raleigh, NC.